Chicago television network to feature Top Chicago Personal Injury Law Firm in educational video series. Educating the public on legal issues is important to us. 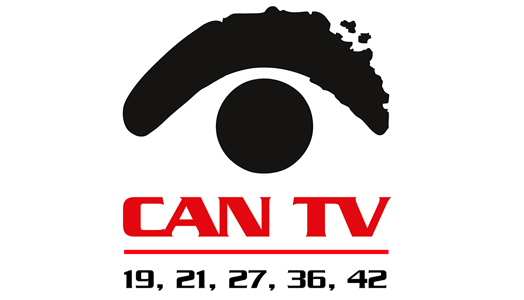 We are thankful CAN-TV provides us with a platform to educate the Chicago communities on legal issues. Clifford Law Offices is featured in an educational video series on Chicago Access Network Television (CAN-TV), a cable television service. Two educational videos have already been aired and are expected to re-air soon. One of the videos featured partner and medical malpractice lawyer at Clifford Law Offices, Susan A. Capra who speaks about the various facets of medical malpractice. She explains the common types of medical malpractice, shares what needs to be done if someone believes to be a victim, and describes the elements needed for a lawsuit to be filed. The other informative video that was featured on Chicago’s CAN-TV spotlights Clifford Law Offices attorney, Keith A. Hebeisen. In the legal education video, Hebeisen, who is also a partner at Clifford Law Offices, educates viewers on tort reform by explaining the history of it in Illinois State. In addition, he explains who is affected by tort reform and what the average consumer can do about it. Both video interviews were filmed by Clifford Law Offices. This is not the first time Clifford Law Offices airs on CAN-TV. In May 2014, personal injury attorney at Clifford Law Offices, Thomas K. Prindable, was featured on a CAN-TV show called Chicago Counterpoint that provides legal education to members of the Chicago community. “Educating the public on legal issues is important to us. We are thankful CAN-TV provides us with a platform to educate the Chicago communities on legal issues,” says founder of Clifford Law Offices, Robert A. Clifford. Given the large number of recent class actions filed regarding people's personal data being compromised by major companies, a schedule of upcoming video screenings is soon to be released featuring partner Shannon McNulty speaking on the topic of data breaches. 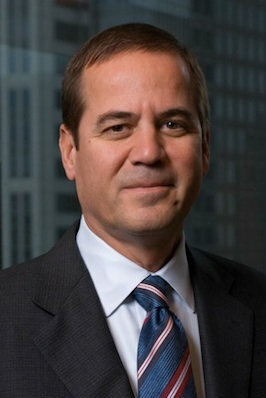 To learn more about Clifford Law Offices, please visit: http://goo.gl/Olvk7A. For more educational legal videos by Clifford Law Offices, please visit their YouTube profile: http://goo.gl/knWvNL. Susan Capra is an attorney for medical malpractice cases, one of our best lawyers for medical negligence, and a partner at Clifford Law Offices. She is also a registered nurse with years of experience in hospitals and with patients. Ms. Capra has been with Clifford Law Offices since 1989, having graduated with Honors from DePaul University College of Law in Chicago in 1990. As one of our most astute lawyers for medical negligence, she primarily handles cases of negligent obstetrical care with meticulous attention to detail. It is for this reason that she has achieved several multi-million dollar verdicts and settlements as an attorney for medical malpractice. To learn more about Susan Capra, visit: http://goo.gl/JzJx0b. Keith Hebeisen is a partner at Clifford Law Offices. An outstanding Chicago personal injury attorney and one of the most respected medical malpractice attorneys in Chicago, Mr. Hebeisen is experienced in many practice areas, including complex areas of medical negligence, medical liability and transportation liability. To learn more about Keith Hebeisen, please visit: http://goo.gl/OJm4BO. Clifford Law OfficesFirm practice areas include the following: personal injury and wrongful death, including aviation litigation, transportation liability, medical malpractice, hospital negligence, faulty medical devices and product liability law. Chicago Access Network TelevisionCAN-TV provides resources and channel time for Chicago residents and nonprofit groups. It has five local non-commercial channels that reach over one million viewers throughout Chicago. Susan A. CapraSusan Capra is an attorney for medical malpractice cases, one of our best lawyers for medical negligence, and a partner at Clifford Law Offices. Keith A. HebeisenKnown as one of the most respected medical malpractice attorneys in Chicago, Mr. Hebeisen is experienced in many practice areas, including complex areas of medical negligence, medical liability and transportation liability.